I love dark chocolate… I admit that it was an acquired taste and now that’s what I like. I don’t really enjoy milk chocolate anymore. My favorites are Theo’s sea salt and salted almonds bars. I will bring you a bag when I see you in Nashville!! Today, I was visiting the Clovis Flea Market (a locate even that occurs twice each year in Clovis, CA). I have never been a dark chocolate lover no matter the percentage on the package. At their booth, they were telling the story of the processing of this chocolate as I passed so I stopped. After helping the others, they were so kind and started the discussion from the beginning. My experience has been no matter what dark chocolate I’ve tried it has been bitter. Long story short – the process of the Molucca chocolate causes this dark chocolate not to be bitter. There is no gluten or soy, but may there may be traces of nuts (clearly stated on the packaging and pointed out by the person with whom I was speaking). Their website lists the nutritional information for the bars. They verbally explained each bar in detail, and their booth samples confirmed what I was being told. Because I’m on a pretty restricted eating program at this time, I have missed just a little sweet; and dark chocolate had been suggested for an assortment of reasons. 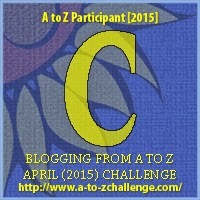 I also had heard of “nibs, which have no sugar at all. Again, no bitterness. 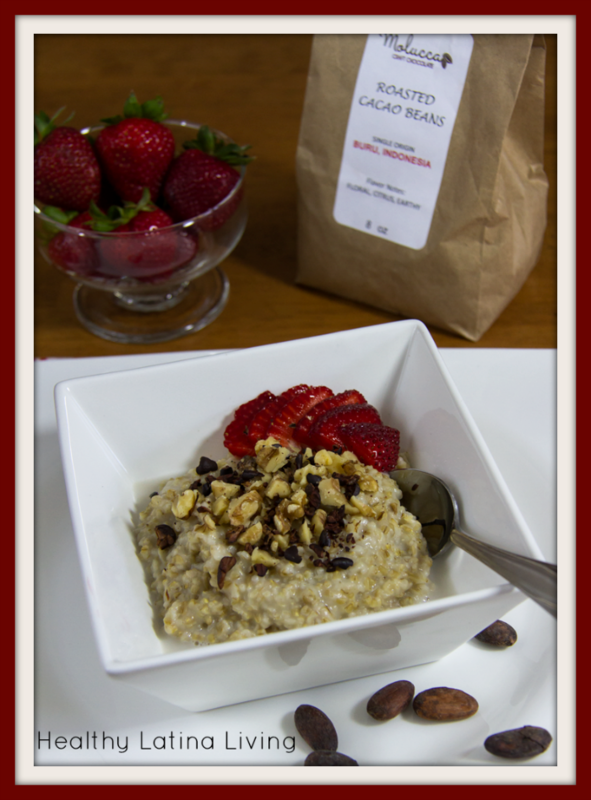 Having eliminated almost all sugars except for a small amount of organic maple syrup from my own personal diet, I favored one of the 70% bars and the nibs (I confirmed the nibs are allowed on my program – that’s where I first heard this, then, unusual term). 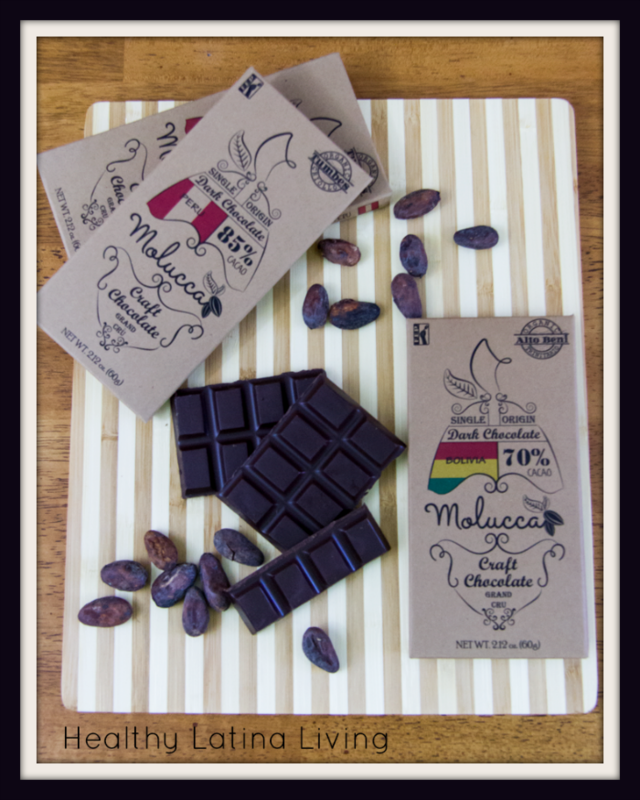 Bottom line, I highly recommend Moluccan Craft Chocolate. I happened to be in the right spot and the right time. 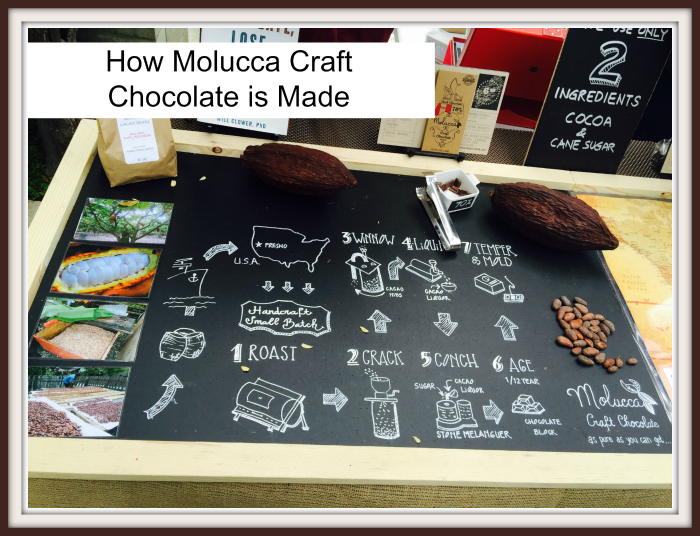 Their website is: moluccachocolate.com. As with any product, preference and needs are based on the individual; and we all must do our own research. I have found a product I really like.